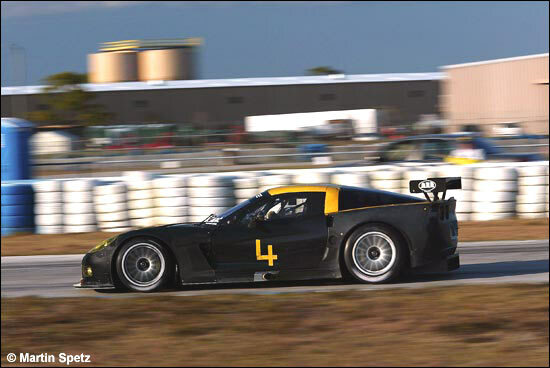 Martin Spetz popped along to Sebring earlier this week, to see the two, new, 2006 Corvette C6.R chassis undergoing their first testing. The cars were running on Monday and Tuesday (January 9-10), under mainly clear skies and pleasantly warm temperatures. As the images show, the cars haven’t even been painted yet, and were running with yellow duct tape numbers. All the regular drivers were present. This was more than a shakedown though, both cars running long stints. 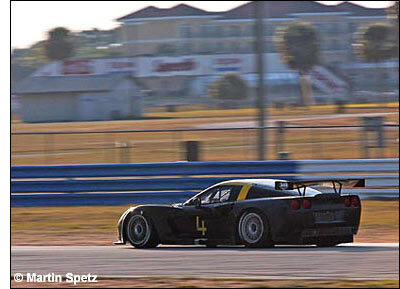 Martin Spetz recorded plenty of (unofficial) laps in the 1:57s, with some high 1:56s too. 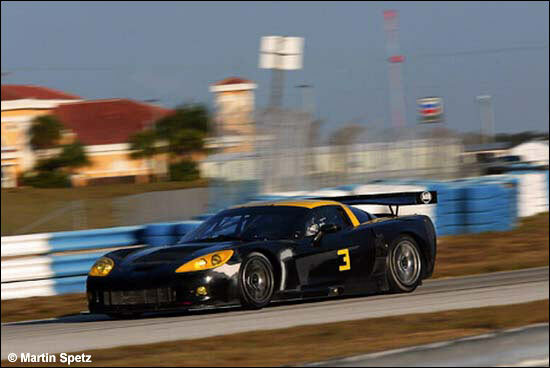 Expect the Corvettes to be in full livery next time out at Sebring.